Liquid cow's milk, evaporated milk and condensed milk are the most concentrated sources of lactose, or natural milk sugar. Foods that contain ingredients like powdered milk, whey (the liquid remaining after milk has been curdled and strained) and whey protein concentrate which are derived from these products may also be quite high in lactose. Some examples of high-lactose foods include ice cream, soft-serve frozen yogurt, ricotta cheese, protein powders, energy bars, puddings/custards and dulce de leche. Lactose intolerance can range from mild to severe. 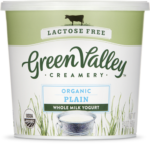 Depending on the amount of lactase present in the gut, some people with lactose intolerance may be able to eat one cup of yogurt without any symptoms, or a mildly upset stomach, while it may cause others real pain. 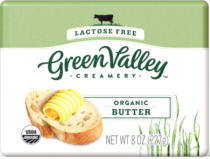 Yogurt and cheese also contain less lactose because the culturing process pre-digests much of the lactose. There are also a variety of foods with “hidden” sources of lactose: these can include baked goods such as breads, waffles or pancakes as well as salad dressings, potato chips and margarine. Lactose is also sometimes added as a processing aid in the production of processed meats including bacon, hot dogs or deli meats.